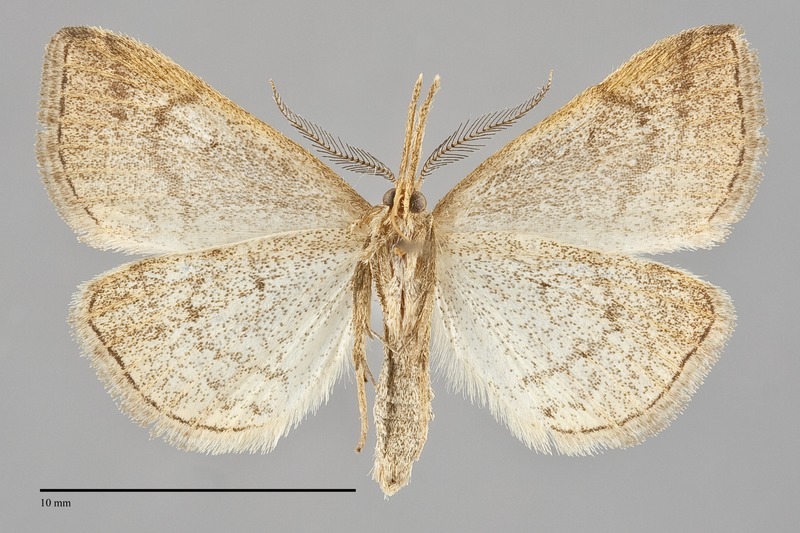 July 12, 1999, L Crabo & J Troubridge..
Phalaenostola metonalis is a small (FW length 11 - 13 mm) pale deltoid moth with wide bipectinate male antennae found in boreal forest in our region. As in the other members of the subfamily Herminiinae the labial palpae are very long, and the forelegs of the males are modified with plume-like structures. 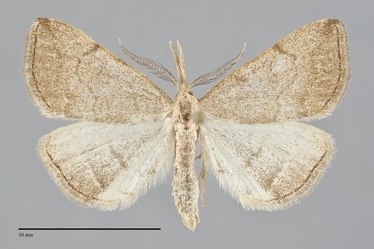 The forewings are triangular and dull powdery light yellowish tan in color. The even antemedial and postmedial lines are light brown, slightly thicker at the costa, and outwardly convex. The subterminal line is evident only at the apex in most specimens, rarely faint elsewhere. The discal spot is usually absent, visible as a faint bar in a few individuals. The hindwing is lighter than the forewing, whitish at the anterior margin. It is marked with faint dark postmedial line and dark and light subterminal line, both most evident near the posterior margin. Both wings have a thin dark terminal line at the base of the fringe. The male antenna appears plumose, while that of the female is simple. 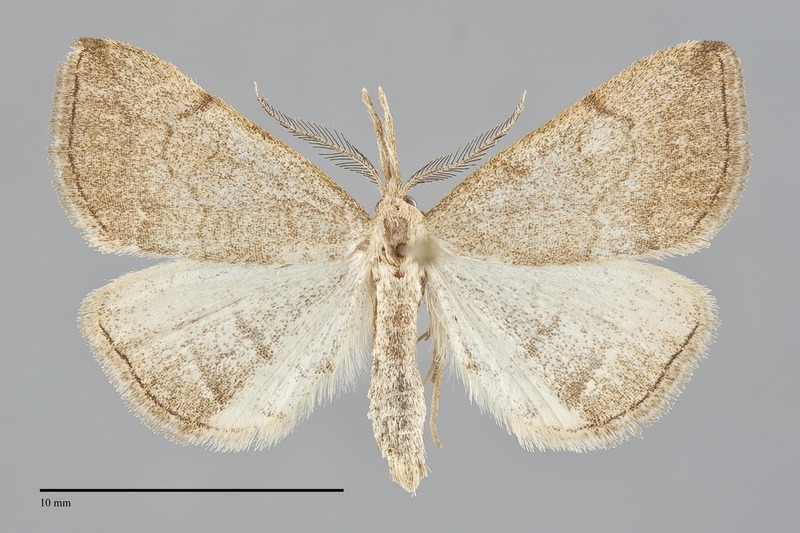 This species can be told from similar size deltoid moths by the light yellow-tan color and nearly unmarked forewing distal to the postmedial line. The males are easily identified by their wide antennae. This species occurs in boreal forests. Phalaenostola metonalis is found in the northern portions of the Pacific Northwest. Most records are from British Columbia, but it also occurs in northern Washington and Idaho. This species is distributed across the North American continent. In the east it is found from Nova Scotia and Quebec to North Carolina and Tennessee. This species is probably a detritivore feeding on dead leaves. Adults are on the wing in June and July. They are nocturnal and are attracted to lights. This species is of no economic importance.